At some point, you would’ve realized that it isn’t quite possible to stop by at the parlor as often as you would want to. That is just the case with 80% of all women; whether the lack of time or huge expense, the convenience is what all need. There have been many brands and individual developers who have identified the need and worked towards providing the best possible solutions to equip and make you a beauty expert. LakmÃ© Makeup Pro is a unique experience brought to you by Hindustan Unilever Limited on your mobile devices. This application can redefine your makeup experience! Here, you can virtually try all the latest looks from the foundation, eyeshadow to lipsticks and see what looks best on you in real-time using your front camera. It also allows you to take a photo or upload from your gallery to try the makeup for best decisions. You will find plenty of products with all the color variants; more than what you could expect. This will set the pace for every other brand for its incredible capability. 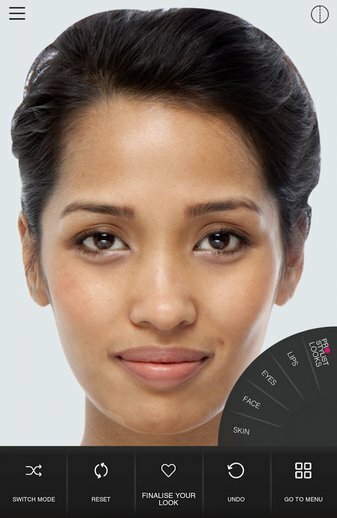 On Lakme Makeup Pro, you can choose your favorite product and place an order for your list right there. An application you will fall in love with. With the variety of apps to choose from it can be hard to know what holds your choice of style. Besides all the other galleries, Hair Style by Step does just what we could require of any application. This app has over ten categories that are well organized for you to find something for yourself. Because of the properly defined categories, you will never find it a challenge to go right where you think you will find you pick. 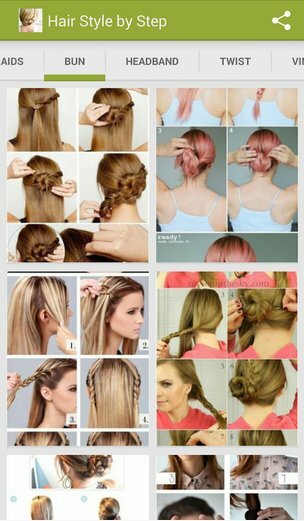 This is the only app that shows you the procedure for every hair style, and you will certainly find something for every outfit. You can share the styles with your family and friends and also save it on your phone; perfect and simply the best to use. You can look for more apps to meet your need but to save your time, here is all you would want. 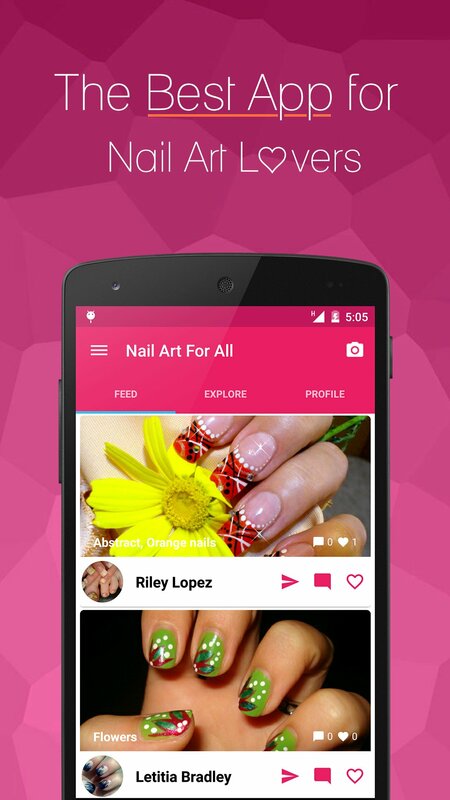 Nail Art For All is the only community for nail artists on the play store. This nail art app is ahead of the rest in its line of competition for the platform that it holds. It holds over 6000 nail art ideas with DIY’s which you will find under 10 distinct categories. As apps with just images did not suffice, the interactive platform here enables the users to like, comment, share and follow their favorite artists. This interaction facilitates more than learning; it invests growth in creativity and flow of ideas. Here, every user can take a photo from the app or just upload and share their nail art ideas with the community to inspire and get inspired. You will certainly fall in love with the app for its elegantly fascinating material design and fun interface. Now, being at pace with the growing nail art trend will be easier than ever! A place where beginners and experts, all find their perfect place to grow is just what you need. Have you ever considered having your closet in your phone? It could be quite a bizarre idea! But, this fashion app will surely be one of your favorite apps to use. With this app, you can create a closet on your phone; yes a closet. The app enables you to take and crop photos of your dresses and add to the closet. 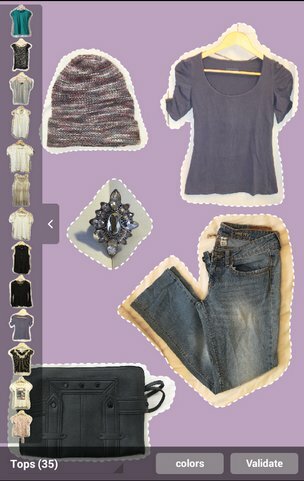 You can create different categories to pick clothes from and compare to find the best combinations of clothes. This can be quite handy because of the different collections you can create for all your different purposes like parties, office, home, casual, weddings, etc. Now, you can save hours of thought and trials with just this app. No more worries for ideas! Try different combinations and save them in your collection. Now choice will never be a problem. 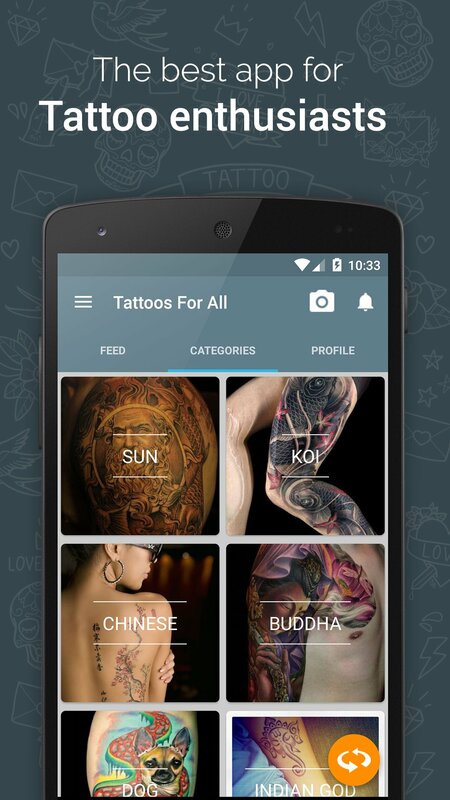 Tattoos For All is another app developed by Stylecraze that leaped over the mainstream tattoo apps that only provide photos of designs. The tattoo trend has been growing rapidly, and thousands of people get tattoos that mean nothing to them, which leads to laser removals and coverups. This app can fix every such problem and also help not get there if referred to in time.The app holds over 8000 images of tattoo designs under 44 different categories. An interactive platform that caters to wise tattoos is just what every person needs; it’s the perfect place to shape your tattoo idea and never have anything to regret. On this app you can like, comment, share and follow your favorite artists and studios. You will find hundreds of ideas to fit what you are looking for and shape it to have the best possible design for you. The best way to fix on you tattoo is with sufficient influence and exposure from a community. You can also upload your tattoo designs from the gallery or just take a photo and share it. Get the right influence for your tattoo here! Get set with these apps and without a doubt you will soon need no assistance for every time you wake up late or wish to experiment. This entry was posted in Android, Technology. Bookmark the permalink. I think mirror is enough for women and girls . “The most beautiful makeup of a woman is passion. But cosmetics are easier to buy.” and Mobile apps make it simpler. thank you buddy for sharing such post for our women’s i know it will help makeup artist, hair stylist and all that belongs to fashion industry all mobile apps are awesome. Nice. I should install them for my girlfriend.